Argo’s XTVs aren’t just built to get away from it all. When you have work to do in remote areas, they’re the perfect tool for the job, letting you carry cargo and equipment across water and land in the toughest conditions. 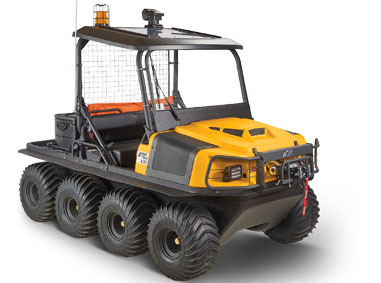 An Argo XTV utility vehicle can go through water and over land equally well, and it’s this ability to handle a wide range of terrain that help them stand out from traditional UTVs and trucks. The tires reduce load pressure on the ground, letting the vehicle traverse snow and sand with ease. Need to drive over frozen lakes and rivers? No problem — If the ice cracks, the XTV simply floats on the newly exposed water. 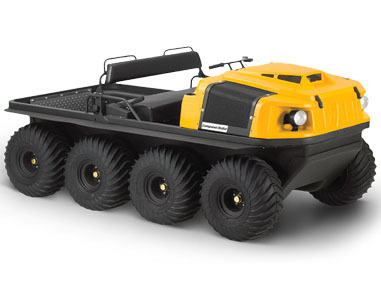 Whether it’s for forestry, mining, large-scale electrical work, or agricultural applications, Argo’s amphibious utility vehicles can help get the job done with little to no hassle. You need not worry about reliability, too. No matter how punishing a terrain may seem, Argo’s vehicles are more than capable of traversing just about any surface. This means you can work anywhere in any condition, letting you make repairs in remote locations and severe weather. Need to work in confined spaces like tunnels and mines? The compact profile of an Argo lets it pass through these areas while still maintaining cargo and equipment capacity. The cab can be configured to best fit your needs: you can have extra seating for your crew, a dump bed, a work area configured with your equipment, or a cargo area to carry whatever you need to the job site. Extra lighting can be added as needed while winches can help you move objects or pull the vehicle out of jams. You can even add heated grips, a canopy, and a windshield to keep comfortable in extreme weather. Need a ROPS? Rollovers are far less likely thanks to the XTV’s low center of gravity, but you can still add one to comply with local and company safety regulations. 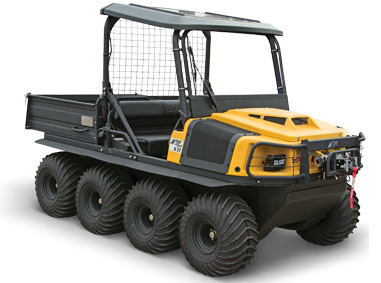 Shank’s Argo is a one-stop authorized dealer of all Argo utility vehicle models, designed to handle tough jobs and complement industry hard workers. Experience first-hand our high-performing vehicles by scheduling a visit today.